The past few years have been a good time to be a nerd in general, but I would say even more so as a girl. Both Marvel and DC have really amped up their female characters in the past decade, and after years of waiting, fans finally received the female led superhero movie they deserved this past summer in Wonder Woman. 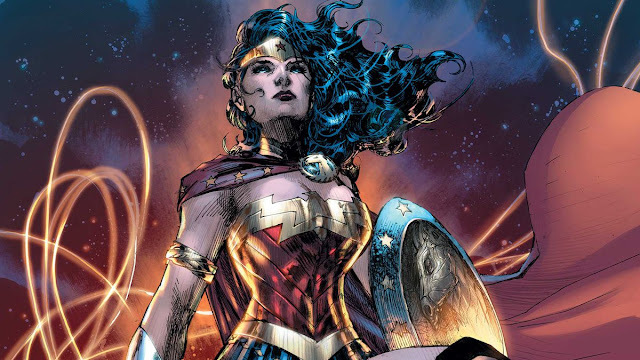 The fact that the large publishing companies finally seem to be getting the hint that comics are for girls too, couldn’t make me happier, which is why I decided to make a personal list of my top five most badass female comic book characters. This particular list is completely personal to me and the comics that I read, so there definitely may be some of your favorites that I am leaving out. I am always open to additional comic suggestions. Since her debut in 2011, America Chavez quickly became a fan favorite, so much so that she got her own series this year! Upon picking up the first couple issues, it was not a disappointment! She was met with a lot of resentment from angry fanboys who felt that Marvel “tried to hard” in cramming every little bit of social justice stereotype in one character. 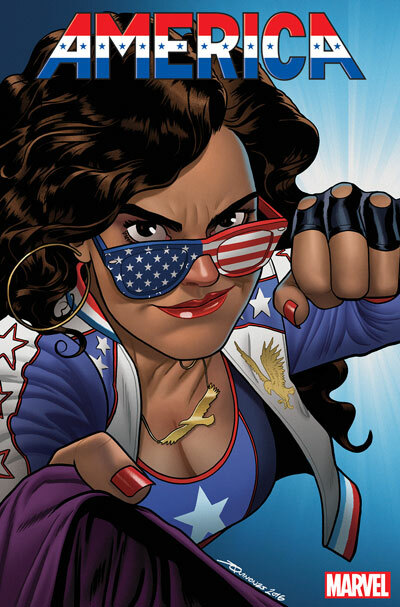 America Chavez is a feisty, Latina, lesbian superhero raised by two mothers in the Utopian Parallel. She has superhuman strength, invulnerability and super speed as well as being able to create portals to travel between dimensions. Her recent series does not just showcase her incredible superhuman abilities; it also deals with her actual humanity. It may not play out like a constant adventure comic, but that is one of the things I like most about Chavez. She’s the whole package- strong, progressive, badass, yet still incredibly human. In 2012, a longtime fan favorite, Ms. Marvel, gave up her old skimpy leather leotard and stepped out in a brand new costume with a brand new name. 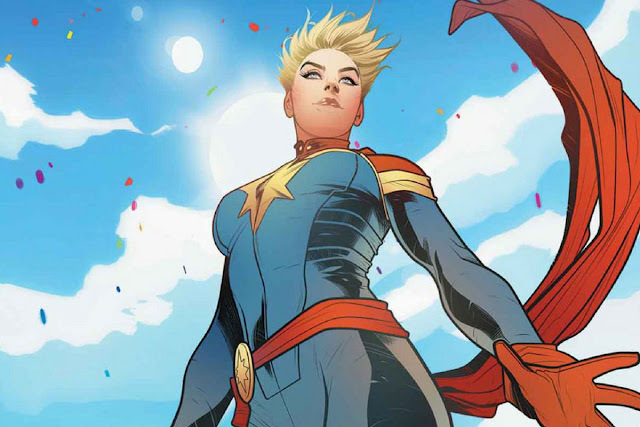 Carol Danvers was now Captain Marvel, heralding a new era for Ms. Marvel in Kamala Khan. 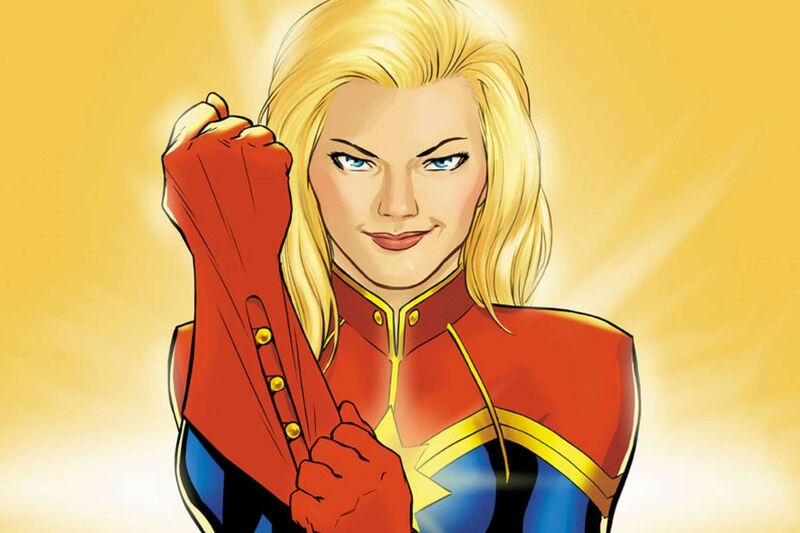 Kelly Sue DeConnick, the Captain Marvel comics writer, when discussing writing women in comics, once stated “I don’t want all of our female characters to be good or to be role models. I just want them to have an interior life. If you can’t answer for me what does this character want in this scene, you’re not writing a woman, you’re writing a lamp. Start over.” After the controversial train wreck portrayal of Danvers in Avengers 200, seeing her being portrayed now as a complex, fiery fighter pilot who is figuring out just what the title Captain means to her. DeConnick’s portrayal of her definitely caught the right eyes, as we are currently looking forward to a 2019 Captain Marvel full feature film. 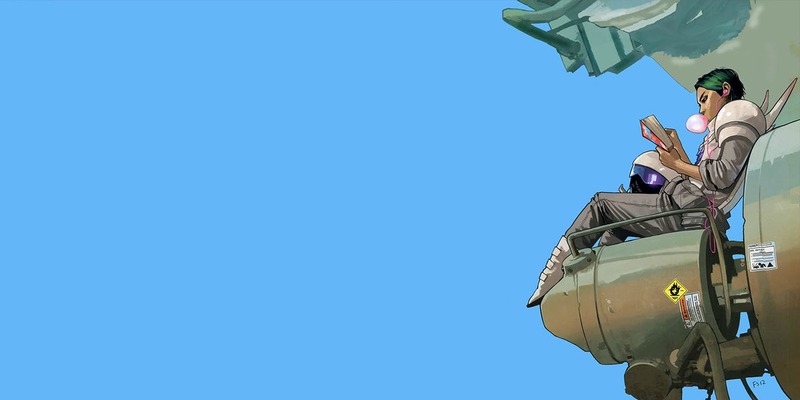 Saga has gained popularity with the masses as a breakthrough indie comic out of Image Comics. Though not a superhero in the traditional sense, as Alana has no real superhuman powers, she certainly makes it toward the top of my most badass women of comics list. She’s highly intelligent, with a “take no crap” attitude and a trusty sword to make sure that stays the case. Alana is sarcastic and sassy, with a tragic backstory that helped shape her to become the strong woman you meet in the beginning of Saga: Volume One. Throughout the series, Alana consistently remains steadfast in what she believes in, regardless of the consequences. It shouldn’t be surprising that Wonder Woman is on this list, as she is one of the most famous female superheroes of all time. An Amazonian princess from the all-female island of Themyscira, Wonder Woman has been an icon for female empowerment for decades. Armed with her indestructible bracelets and the lasso of truth, Diana defeats the stereotypical “damsel in distress” trope that has always been prevalent in comics, especially in their earlier years. Wonder Woman showcases to story of a true warrior who is a wonderful blend of power, might and independence as well as a woman who is just and kind and values peace and harmony above all. Seeing Wonder Woman on the big screen this year was such an incredible experience. The success of the movie and characterization that Petty Jenkins brought to the character served her well. 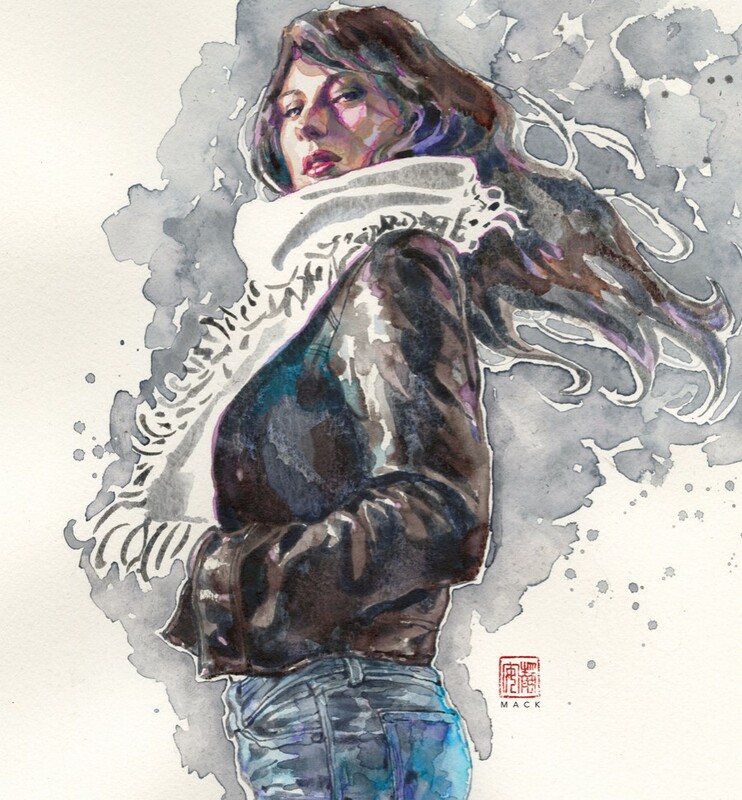 Jessica Jones is a down to earth, relatable mutant character if there ever was one. Unlike the many of Marvel’s mutant characters, Jessica Jones was not born a mutant. She became a mutant in high school after she is in a car accident with a military convoy that was carrying radioactive chemicals. Her debut as a character was in the series Alias. After a brief stint as the superhero Jewel, which is when she met and eventually defeated the villain Killgrave, who psychologically tortured her and forced her to do his bidding, she hangs up her metaphorical cape and becomes a private detective. Alias sees Jones through a variety of ups and downs, both professionally and personally. She is independent and mouthy, a woman who though possesses raw superhuman strength, struggles daily with PTSD, causing her to struggle with relationships with people around her. Jessica Jones has been adapted on screen in her own Netflix show which does the character from Alias tremendous justice.